The beginning of the new month is the best time to remind all-time April temperature records. The English record and the highest for April was set in Camden Square (London) on 16th April 1949. The temperature reached 29.4 °C. On the opposite scale - the coldest April day was on 2nd April 1917 in Newton Rigg (Cumbria), the temperature attacked -15 °C. 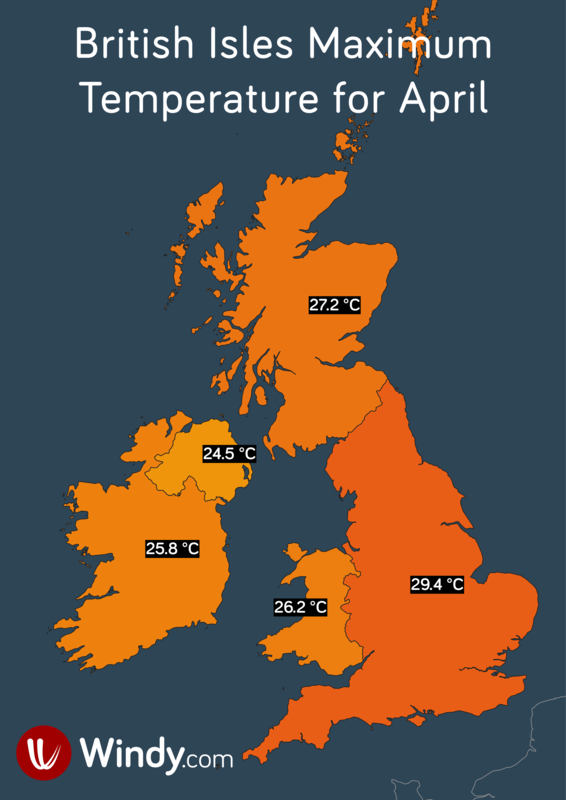 The Scottish record was set in Inverailort (Highland) on 17th April 2003 and is 27.2 °C. The coldest day of April was experienced in Braemar (Aberdeenshire) on 11th April 1917 with -13.3 °C. The Welsh record was set in Gogerddan (Ceredigion) on 16th April 2003 and is 26.2 °C. 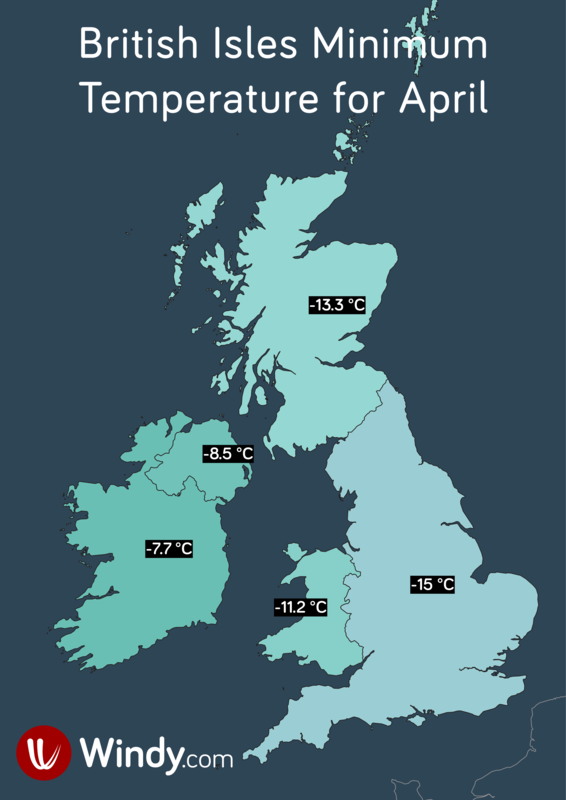 On the other hand, Corwen (Denbighshire) experienced the coldest Welsh record on 11th April 1978 with temperature -11.2 °C. The Northern Ireland record was set in Boom Hall (Co. Londonderry) on 26th April 1984 and is 24.5 °C. -8.5 °C was the lowest temperature measured in Killylane (Co. Antrim) on 10th April 1998. Irish highest April temperature was set in Donegal (Glenties) on 26th April 1984 reaching 25.8 °C, the lowest, -7.7 °C in Sligo (Markree), on 15th April 1892.